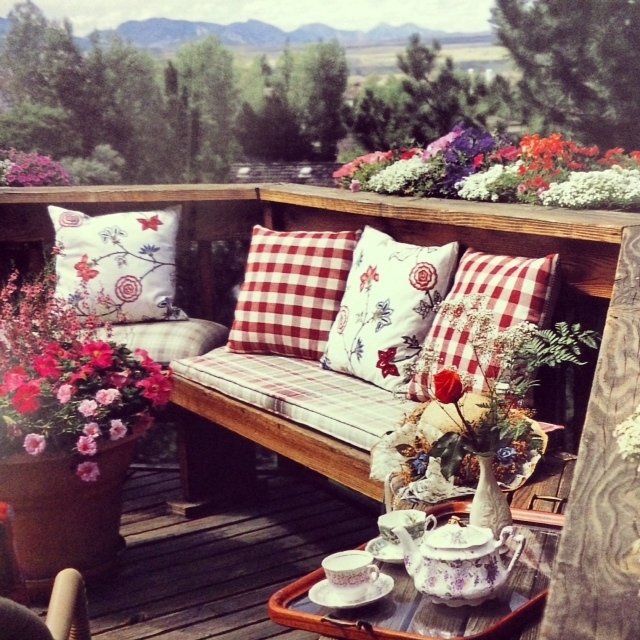 With minimal effort, a deck can become a pleasurable outdoor space all summer long. 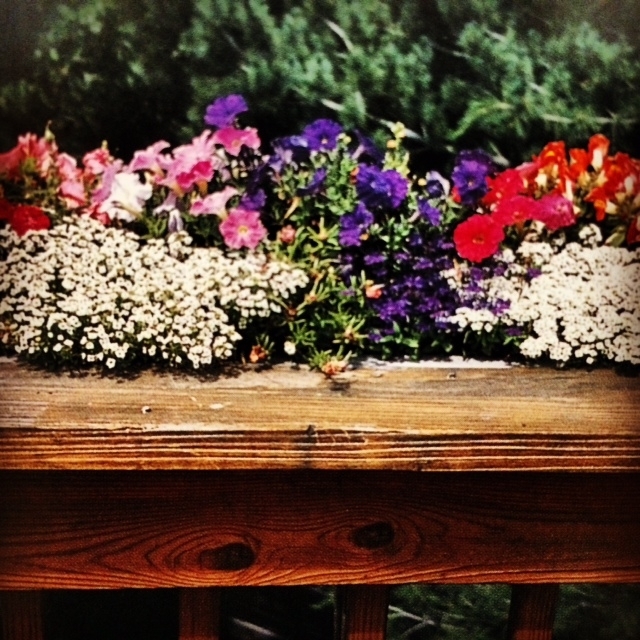 Windowboxes, hanging baskets, and containers planted with annuals can transform an ordinary deck into a bower. When viewed from inside the house, the profusion of flowers is an especially pleasing sight. Lloyd enlarged the original, average-sized deck in order to accommodate all the features that he and Jody were planning. He also designed and built the seats and attached the window boxes to the railings. The unusual shape of the deck adds to its charm as well as the unimpeded view of the mountains. Jody maintains all the containers with meticulous care, watering the sun-loving annuals morning and evening. She pays special attention to deadheading. She favors wave petunias, blue lobelia, alyssum, and diascia because they are the most rewarding. Large containers burst with marguerite daisies and petunias. 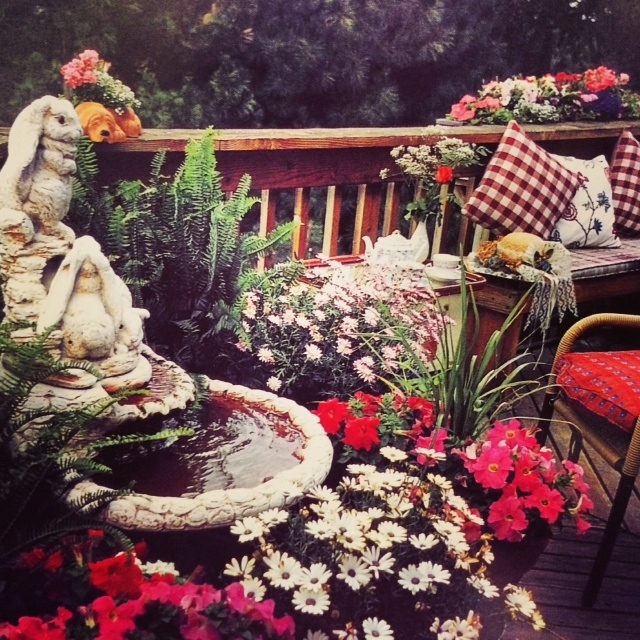 Nestled in a corner of the deck, a burbling fountain with a background of ferns is surrounded by masses of color. Lloyd’s building skills and Jody’s eye for stunning color designs have made this deck into a delightful outdoor space. Alyssum and petunias spill over a window box. Colorful annuals surround the fountain. A peaceful spot to enjoy a cup of tea.